Observation - Unusual beetle - Southern Africa. Description: Small hard crusted beetle plays dead when touched. A third pair legs seem to be hidden in this pic, possibly broken or injured. 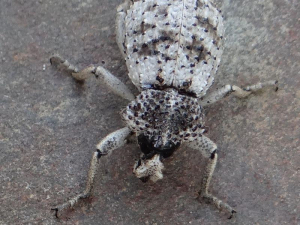 Small hard crusted beetle plays dead when touched. A third pair legs seem to be hidden in this pic, possibly broken or injured.